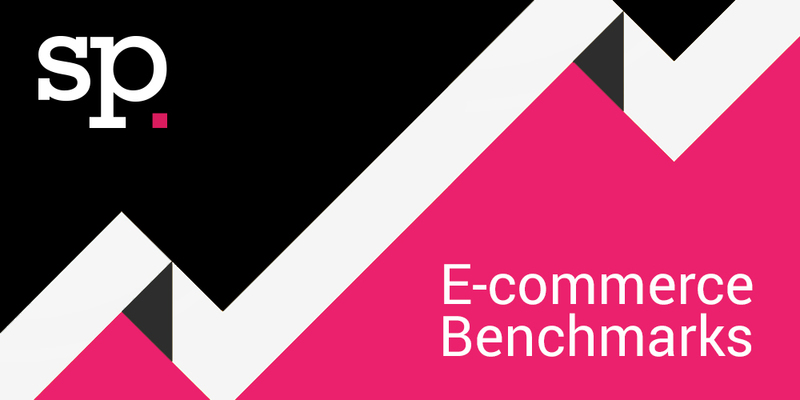 Screen Pages has released e-commerce benchmark data regarding visitor sources and behaviour, conversions for retail e-commerce websites, for the summer period July-September 2016. The businesses indexed are limited to niche brands, generally selling online, via catalogues and stores, whose online sales range up to £15m per annum and average order values average £72. The websites all use the e-commerce platform Magento. In aggregate, the report tracked the behaviour of 4.2 million website visitors, placing 145,000+ orders and spending £10 million. Online retailers whose data was benchmarked include Bella di Notte, Christopher Ward, Loake, Micro-Scooters, Van Dal, Rio Beauty, Force 4, Moss Europe, the RSPB, Really Wild Clothing, Salter, Baldwins, Spring Chicken and This Works. Overall conversions average at 2.83%, ranging from 0.99% to about 4.5%. The average £ per visit was £2.48. Email remains the best source of revenues: email (when executed well) produces extremely well, converting at 3.7% – some retailers do not use email effectively or do not track it properly. 5 of the sample had at least 20%+ of their traffic from email, with 4 retailers enjoying conversion rates from email of over 6% (the highest being 12.7%). Paid search produces an average of 19% of all visits, converting at 3.03%. Four businesses enjoyed conversion rates on paid traffic of over 5%. Engagement (as measured by bounce rates) shows a large gap between home pages (which get a lot of marketing attention) and all other pages: 19% versus 47%). Desktops account for less than half of all traffic but still produces two-thirds of sales, but mobiles have improved to be over one quarter of all visits at 29% but only 10% of sales. 26% of visits are viewed on tablets, mostly iPads, generating 24% of sales. 29% of visits are viewed on mobiles, mostly iPhones, generating 10.4% of sales (up from 9.7% in Q1 2016). 47% of visits are viewed on desktops, generating 64% of sales – sales at the same level as Q4 2015. The best conversion rate on a mobile was 3% – on a “responsive” website (compared to 6.9% for its desktop site).